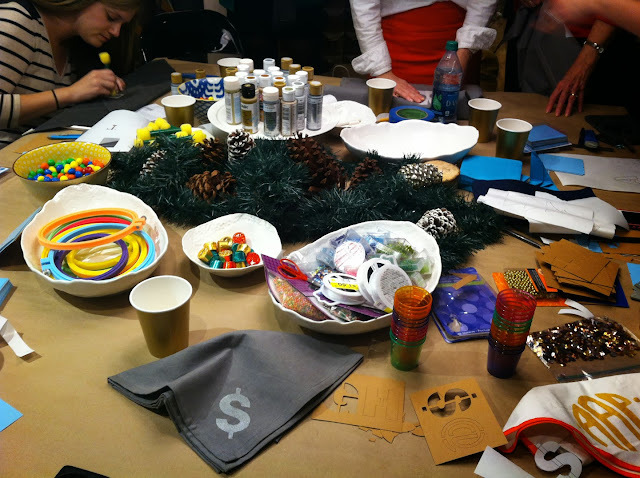 Last week, it just so happened that I attended two DIY classes and had such a blast gathering some new skills. 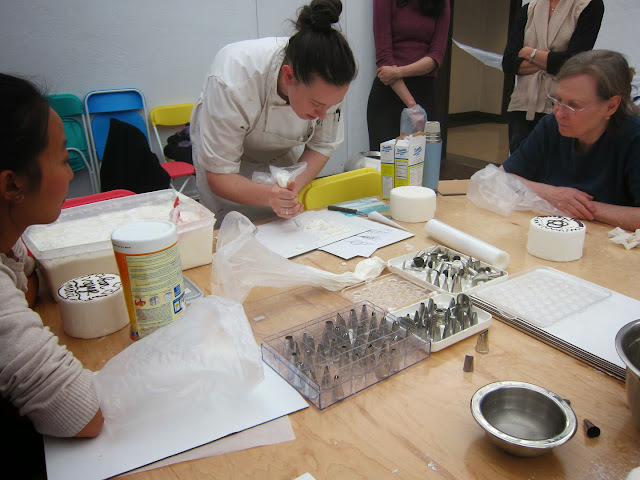 The first course was on Cake Decorating as part of the YMCA's DIY Series. I had the same instructor from the Frozen Treats class that Jenn and I took back in July. Chef Anna is always so much fun and really knows her food. 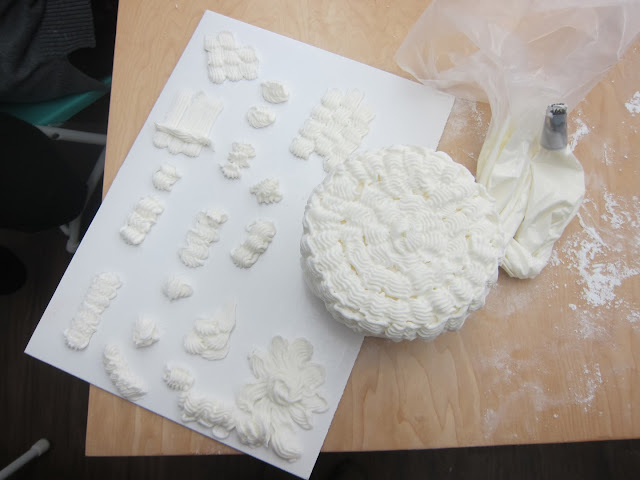 She shared some great tips about cakes and icing and taught us a few techniques for jazzing them up. 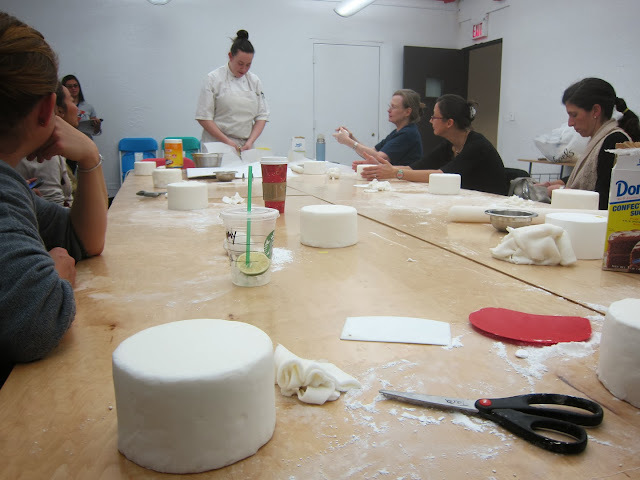 First, we learned how to roll out fondant and cover a round cake (sadly, we were just working with styrofoam stand-ins). 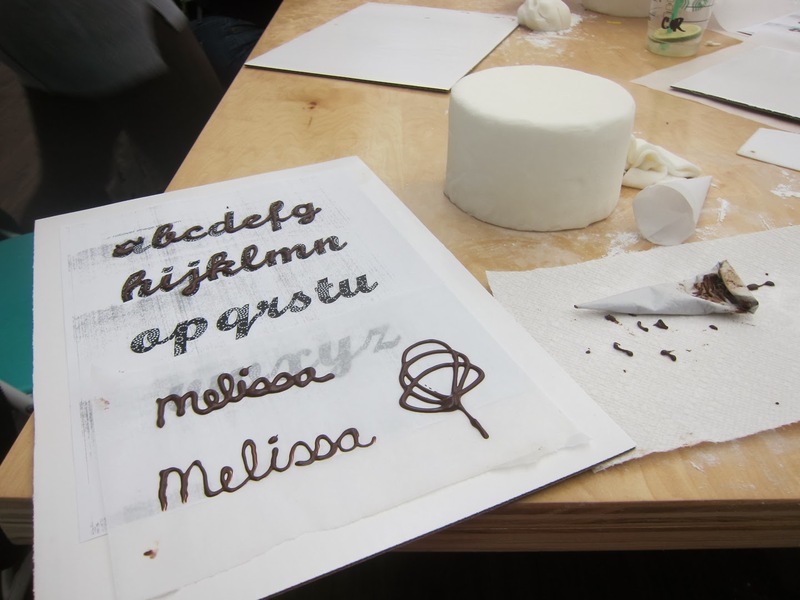 Next, Anna showed us how to make cornets (fancy mini piping bags) from parchment paper, fill them with chocolate, and try our hands at lettering and drawing designs. Finally, we got out the big piping bags and metal tips and went to town icing our cakes. It was really fun and super simple. I can't wait for an occasion to try my new skills at home! Trace or freehand a letter or design on the matte side of the freezer paper. Cut out the design with an x-acto blade. 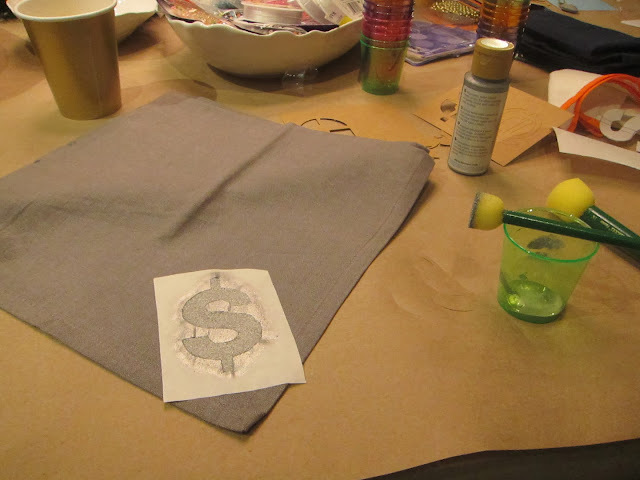 Locate your freezer paper stencil on the fabric with the shiny side down. Iron the paper to your fabric for a minute or two. Check to make sure the edges sealed. Let your stencil cool a little. Then use a sponge dabber and apply several thin layers of paint. Let dry a few minutes and then peel off the stencil. Voila! Do you like my dollar sign monogram? I wanted to try something a little different from my initials and we laughed that it was so gangsta of me. It was a hit! Maybe I should make a whole set! 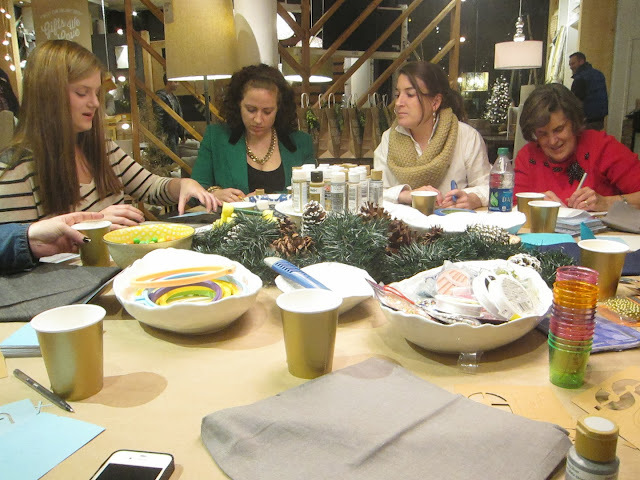 :) Anyway, the class was really fun and it was great to catch up with some sweet Auburn ladies. Now I'm in the crafting mood! I would have loved the cake decorating! Please tell how to make the cornets from parchment paper. Thank you! So fun! Aside some some knitting classes I took a few years ago, I have not taken any crafting classes here in NYC. Both of yours looked like a blast! If you sign up for some more, let me know! This is so cool! I'm really itching to take some art/cooking/decorating classes in the new year.